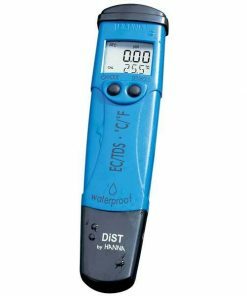 The Hanna Instruments HI98304 DiST 4 is a high-range electrolytic conductivity (EC) tester that can measure up to 20.00 mS/cm making it ideal for a variety of applications including water treatment, boilers and cooling towers, agricultural including hydroponics, and general laboratory use. The DiST 4 is a rugged and reliable pocket-sized tester for use in the lab or field. This modern looking meter is only 0.7″ thick and extremely ergonomic, fitting comfortably in your hand. 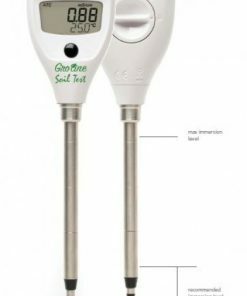 This tester keeps things simple with a two-button operation; one for ON/OFF, the other for calibration. The DiST 4 features a large multi-level LCD which displays both conductivity and temperature readings simultaneously. The EC readings are displayed with a 0.01 mS/cm resolution and with an accuracy of ±2% full scale. The EC range of the HI98304 is from 0.00 to 20.00 mS/cm. 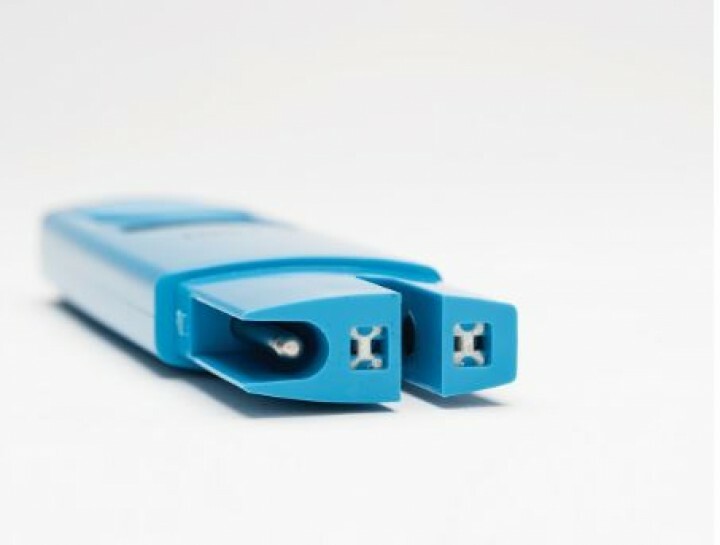 An exposed temperature sensor allows for rapid automatic temperature compensated conductivity measurements. Temperature can be set to display in ? or ?. The LCD screen has stability and calibration tag indicators. The battery percent level is displayed at start up alerting the user to the remaining battery power that is available. Conductivity readings are performed by an amperometric graphite electrode that resists oxidation, providing better repeatability in measurements. The use of graphite also reduces the polarization effect common with amperometric testers that use two stainless steel pins. Calibration is performed by pressing the dedicated calibration button. 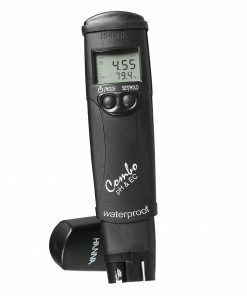 Once in calibration mode submerge the probe in 12.88 mS/cm calibration standard. When the standard value is recognized and stability reached, the meter will automatically accept and store the calibration value. Setup options include automatic shut-off timing and temperature unit displayed. Automatic shut-off options are to turn the meter off after 8 minutes, 60 minutes, or disabled. To enter the setup mode the user presses a button located in the battery compartment. With rounded edges and a case that is only 17 mm (0.7”) thick, the HI98304 is thin and fits comfortably in the hand or pocket. 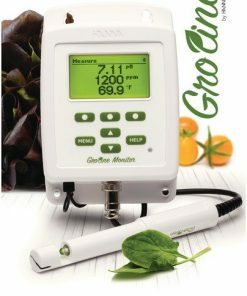 The LCD is 29 mm (1.125”) x 20 mm (0.81”) allowing the user to easily read both EC and temperature simultaneously. One for ON/OFF, the other for calibration. 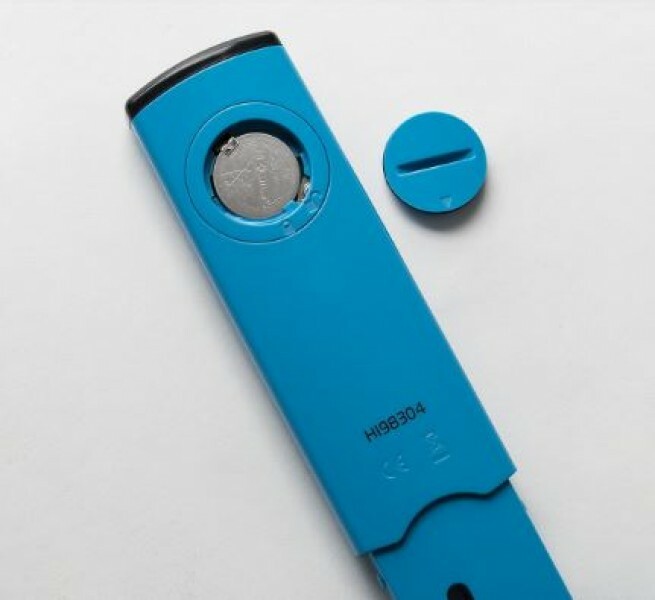 Exposed temperature sensor allows for quick Automatic Temperature Compensated measurements. Temperature can be displayed in either oC or oF. Reduces polarization effects and does not oxidize resulting in a reliable and accurate reading. Automatic calibration at 12.88 mS/cm with a single push of a button. A clock tag stability indicator will disappear to alert the user when the reading is stable. User-selectable time until meter shuts off to conserve battery life. Options are 8 min, 60 min or disabled. At start-up, all the LCD segments are displayed for 1 second, then the percent indication of the remaining battery life is displayed. 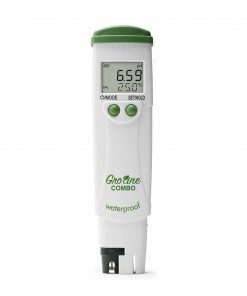 HI98304 is supplied with protective cap, 12.88 mS/cm calibration solution sachet (4), CR2032 battery, instrument quality certificate and instructional manual.